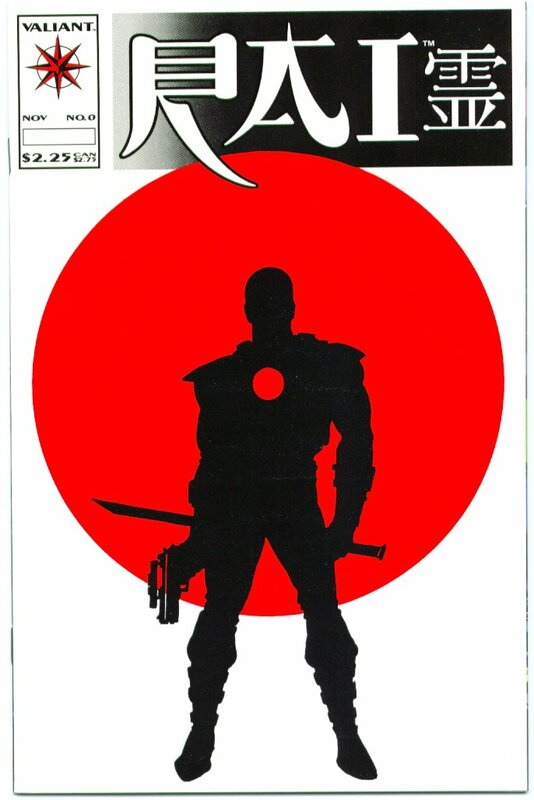 of Rai #0 in addition to the "Regular version" of the cover. 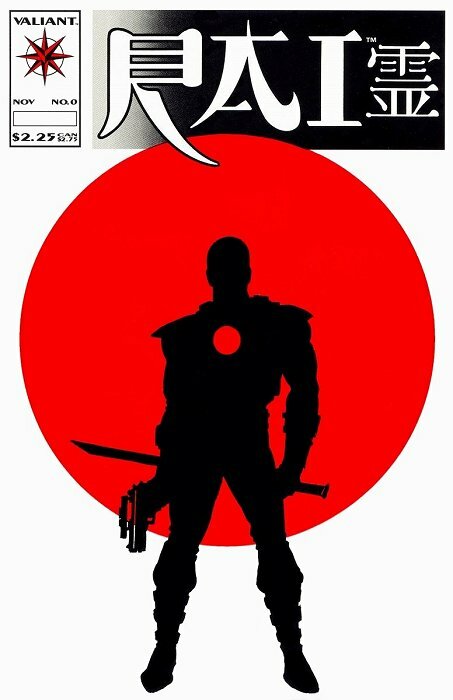 for Rai #0 resulted in a "black smudging" effect on the cover of many of the books. 'glossier' than the regular paper used in the Rai #0 run. glossy cover is more valuable. which makes them very hard to distinguish from each other. A scan of this cover is available for reference. indicating that the known problem did not prohibit the books from being sold. of the RAI title bar and on the lower right 'blurred' edge of the title bar. A mild example of the blurring is highlighted in this scan. next to the 'I' in "RAI" are almost completely blackened. appears to have a "white shadow" on his left edge. 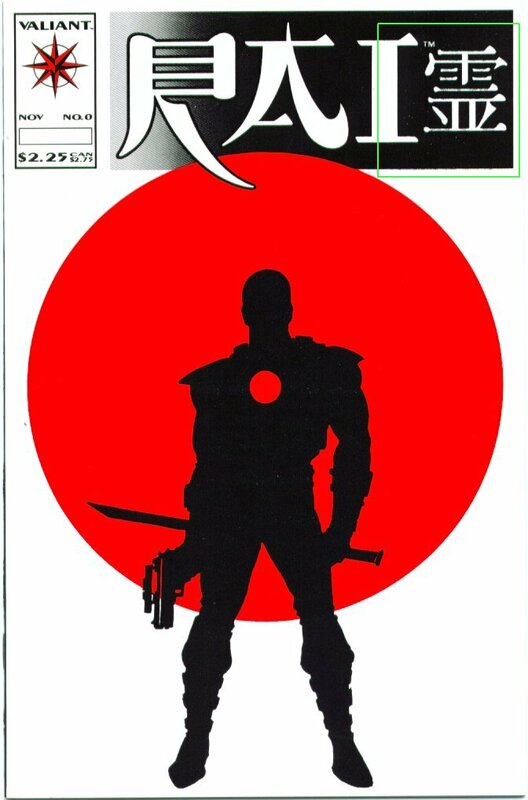 The "white shadow" effect is highlighted in this scan. 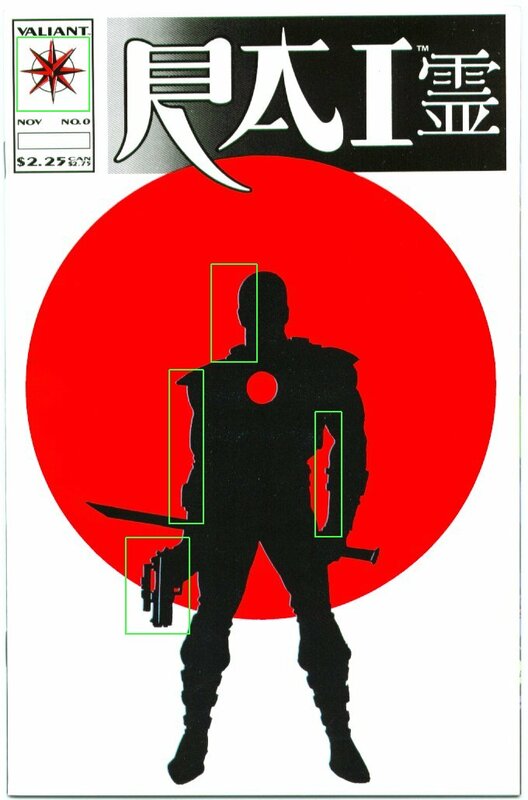 but is black, red, and white on the normal cover when the red circle shows through the gun. of approximately $5.00 (including shipping costs) for several years. 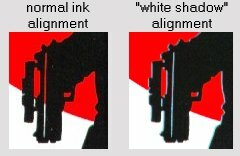 and none have mentioned the 'blurring' or 'white shadow' printing errors specifically. may find the glossy version (or other subtleties) more desirable for their own collections. on approximately 5% of the print run. It has been determined that the Glossy cover is shorter (skinnier) than the regular "Matte" cover. As a result, it is possible to distinguish the "glossy" cover from photos or scans. that are magenta, blue, purple, green, etc., as you look down the right side of the page. The regular "matte" cover is wider and shows only a very small amount of the first page or none at all. that a book was glossy when it was not.